On Saturday, you'll be able to step inside a dozen festively decorated houses on Elfreth's Alley, the nation's oldest residential street and a National Historic Landmark. Deck the Alley is one of the few opportunities the public has to peek inside the private homes, built between 1720 and 1830. 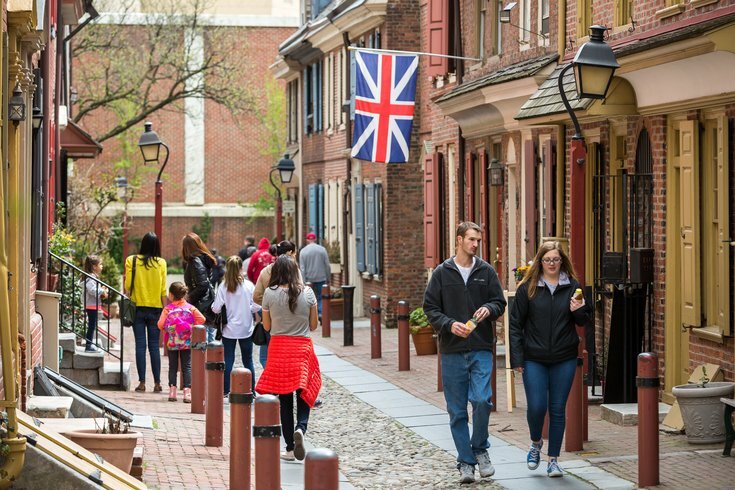 While stepping in and out of houses, look for Santa Claus, colonial carolers and traditional loom weaving in the cobble stone street. Tickets for Deck the Alley are $25 for adults and $10 for children. There's also a group discount and a $60 family bundle available. Admission to "Making Christmas" is included. The pop-up exhibit, which debuted last year, focuses on the history of Christmas in America from the 18th to the 19th century, including the impact of German immigrants. The exhibit explains how Santa, the Christmas tree, Christmas cookies and toys became part of the holiday season in America.